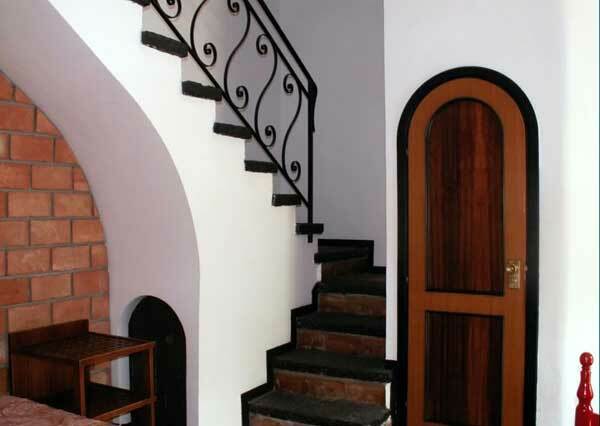 (One bedroom, sleeping up to 3 persons- 35sq.mts.). Comprises living area with single bed, dining room, kitchenette, bathroom with shower and bedroom with two single beds. It also has a garden with patio. 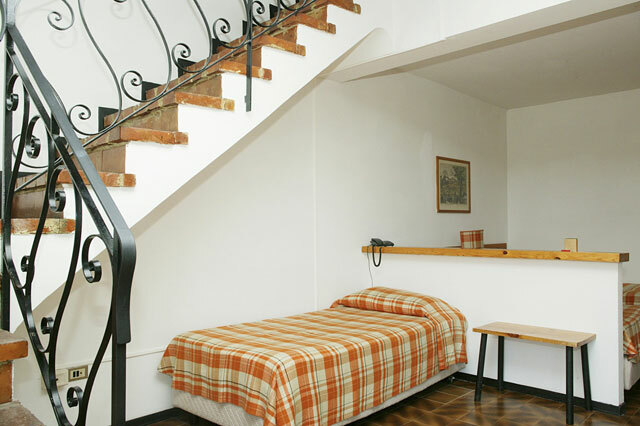 (Two rooms, sleeping up to 4 persons – 45sq.mts.). Ground floor: dining room with French (three-quarter) bed (140cms. ), kitchenette, bathroom, garden and patio with table and chairs. First floor: Sleeping area with two single beds, bathroom with bathtub/shower, balcony. 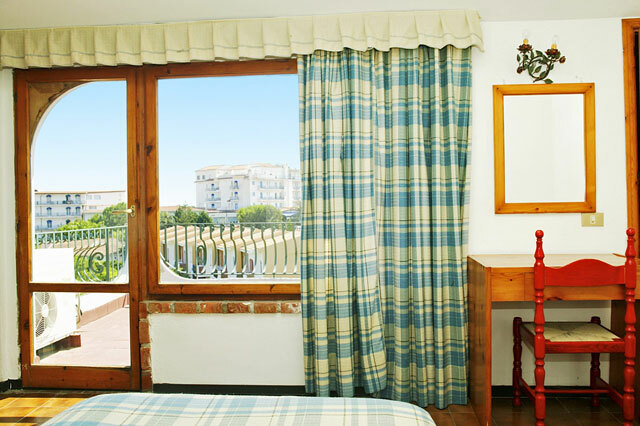 (Two rooms, sleeping up to 5 persons- 53sq.mts.). Ground floor: living area, kitchenette, balcony, single bed; sleeping area, divided from living area by half-wall, two single beds, bathroom with shower. Second floor: mansard with two single beds, panoramic terrace with table and chairs, bathroom with shower.